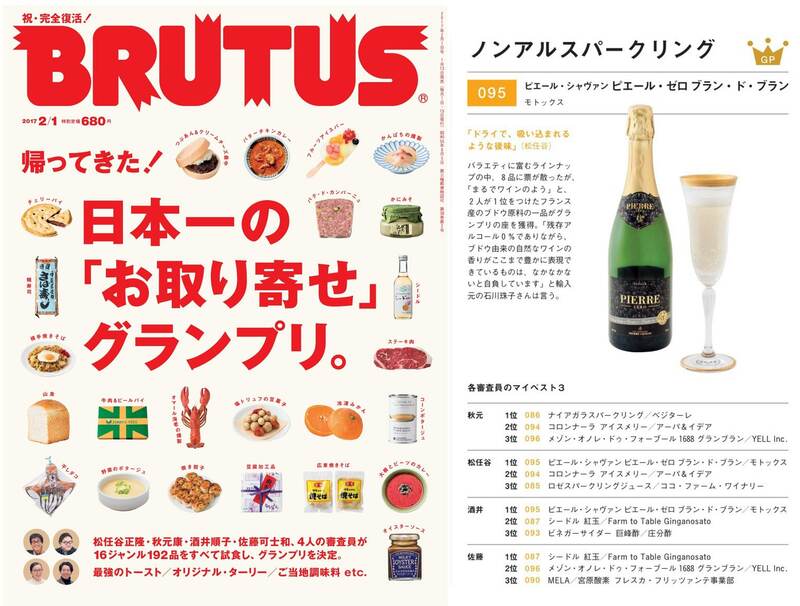 BRUTUS, a japonese magazine dedicated to the pop culture and life style is a popular bimensual which presents the latest trends. japonese people to discover new flavors. ” Pierre Zéro is a non-alcoholic wine with a seductive finish. Among a diversity of products tasted by the judges, scores are given to eight best of them. Two of four judges put Pierre Zéro sparkling blanc de blancs at the first position because for them it’s like drinking a real wine. Lead product of the Pierre Zéro range, sparkling blanc de blancs seduces all over the world. Find it right now on our online shop.